Current obsession--cloth, knit, crochet wide headbands. Great look for Fall/Winter. All I need is my peacoat! 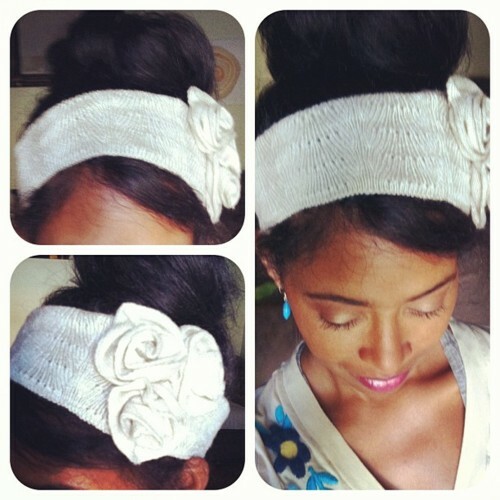 I'm heading to F21 and getting one of these headbands no matter what--it looks so cute on you! This is too cute! I think I may try to rock this once it finally cools down here in B'ham. I love it!! Definitely a much needed fall/winter accessory! I love this! So cute on you! Love the headband, the rose details are too cute. Cleave post heading.